I usually do not share my resolutions. Since I don’t stick to them, I thought I would take a different approach. 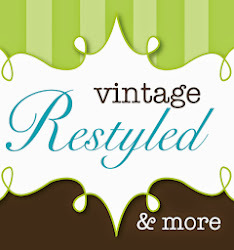 By sharing my goals for Vintage Restyled, I am looking for accountability and a clear path. 1. Participate in shows – this is a carry over from 2012. I did my very first show in October and loved it. I enjoyed interacting with customers and getting feedback and meeting blog followers. I will do a show in May and again in the fall. 2. Host Barn Sales – My plan is to host 2-3 Barn Sales. I am considering adding vendors and will certainly have it on a Saturday this time! 3. Custom Work – I have done custom projects since I started painting 2+ years ago. I shied away from this because I put too much pressure on myself. After completing many projects in 2012 I realized with good communication and realistic pricing and turn around time, I really enjoyed it. I am looking for ways to promote this part of my biz. 4. Blogging – A lot of effort goes into putting out 5 posts a week. I follow some that do 10+ a week. I don’t know how they do it! I will continue to share projects and DIY tips on a weekly basis. 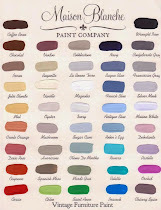 You may see more home projects, as I plan to focus on our new pad. 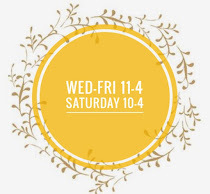 5.Heritage Square Antique Mall – In the two years that I have been at HSAM, I have worked hard, neglected it, tried managing 2 booths, shared a booth with a friend… It seems we have tried it all. While I cannot commit to being a vendor for the entire year, I am recommitting to my booth. I plan to work it on a weekly basis as I have done in the past. I also plan to work with a focus and style it accordingly. When I look back on 2012, Growth is the word that comes to mind. I pushed myself to try larger projects and to grow as a person. I opened in Delaware and Tuttle and grew as a business professional. I branched out and participated in a show and hosted a barn sale. I learned something from every decision I made. I know now that I want to grow in my work, not in the size of my business. I want to continue to learn and push myself creatively. I hope you’ll stick around and follow along on my 2013 journey!